Tasmania shares many species of plants, animals and birds with mainland Australia, but because Tasmania is an island there are many unique species which have evolved independently here. Eaglehawk Neck has more than its fair share and visitors are often surprised at how accessible the local native wildlife is. Take a short bushwalk or explore one of the side roads throughout the town and you may come across a pademelon, echidna, wombat or wallaby. Drive carefully and keep an eye out on Eaglehawk Neck Drive, Old Jetty Road, Blowhole Road, Waterfall Bay Road and Tasman’s Arch Road, especially around dusk. Many of the animals are nocturnal, so your best chance of spotting one is in the evening. Because many of the animals are active at night, we ask all visitors to take particular care when driving at dusk or after dark. Watch out for the signs where special care is needed. If you have no luck locally you can always drive through to Taranna, just 15 minutes along the Arthur Highway towards Port Arthur, and call into the world renown Tassie Devil Park Centre. 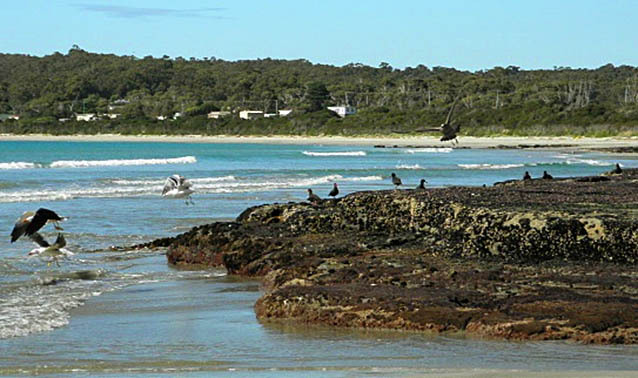 Find out more about Tasmania’s birds and land animals. Tasmania’s marine animals are among its most impressive wildlife, ranging from magnificent southern right whales surging past our east coast (including Pirates Bay) to delicate sea dragons drifting near forests of giant kelp. Photo: Arthur Orchard – bird life along rocks in Pirates Bay. Some professional sea-life cruise operators http://www.pennicottjourneys.com.au/tasman-island-cruises http://www.tasmanadventurecruises.com.au/ work out of Eaglehawk Neck. You can cruise beside some of the highest sea cliffs in the southern hemisphere in search of seals, dolphins and albatrosses. 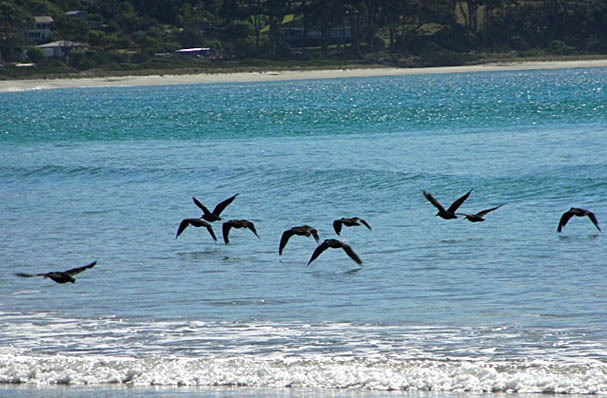 Photo: Arthur Orchard – Bird life along the beach in Pirates Bay. But even the local beaches offer up their secrets at dusk, as little penguins waddle in from the ocean beneath clouds of shearwaters returning to their burrows. The western end of Descent Beach is a favourite spot just after dusk. Sit quietly on the beach near the track from the car park. Red cellophane paper over a small torch will enhance this awesome experience. 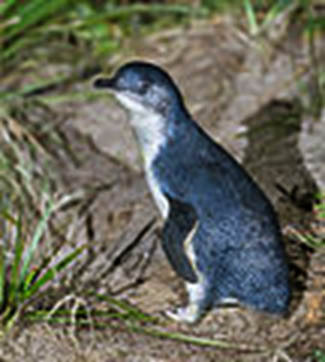 Fairy Penguin (now called Little Penguin) at Eaglehawk Neck. 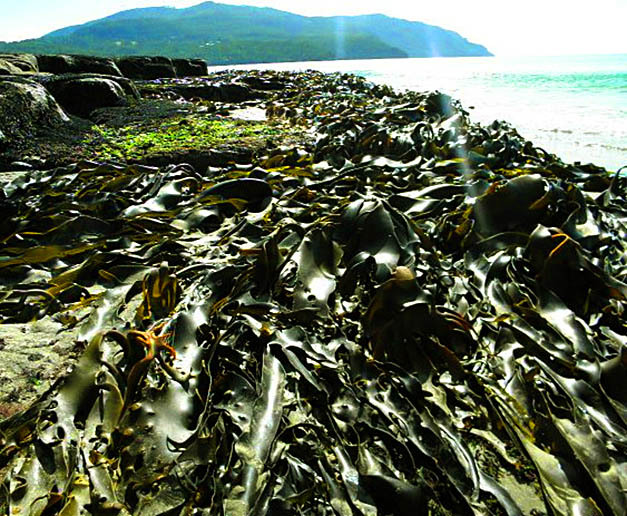 Because our coastal waters are still clean “forests” of giant kelp – the fastest growing plant in the world – are found off the east coast; perfect for diving. Photo: Arthur Orchard – Imagine what it’s like under the ocean? Find out more about Tasmania’s marine animals and plants.